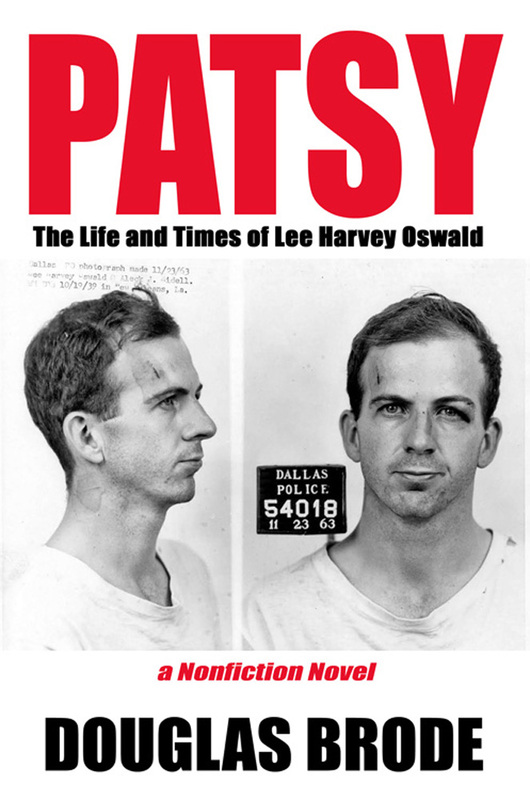 Dallas, TX — Since the assassination of President John F. Kennedy, three theories have been forwaded as the involvement of Lee Harvey Oswald: that he was a lone assassin, as the Warren Commission claimed; that Oswald was a part of a vast, complex conspiracy to kill the sitting president, as those who reject the Warren report insist; and, finally, that Oswald was not involved, either singly or collectively, in what went down that day in Dallas. 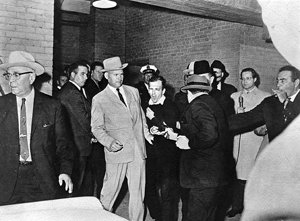 The greatest stumbling block to the latter has to do with hard, cold evidence: Not only was Oswald located on the sixth floor of the book depository that day; he absolutely carried a rifle with telescopic sight and fired it out the window. How could it be remotely possible, then, that Oswald was completely innocent as to JFK’s murder? In his latest iconoclastic work, prolific writer DOUGLAS BRODE presents a detailed argument as to the theory of innocence, taking into account one of Oswald’s final statements–“I’m a Patsy!”–proceeding from there to trace this unique man’s entire life. Such materials are juxtaposed throughout the book with larger, greater world events that, when viewed from a contrarian perspective, may shed light on who actually wanted Kennedy dead and why. This non-fiction novel is written in the style of an imaginative work, yet events detailed here remain true to fact. As Brode reveals, we can precisely know what Oswald did and said that day, but what actually went on in his, or any person’s, mind can never be fully reclaimed from history, therefore reconstructed here in a freely creative manner to offer “a truth,” if not “the truth,” as to what may have actually happened fifty years ago, and why. —Lee Harvey Oswald, November 24, 1963; 11:21 A.M.
As he returned, albeit briefly, to a state of semi-consciousness, Lee Harvey Oswald, age 24 and with less than ten minutes left to live, vaguely recalled saying those words into a TV camera. He couldn’t be certain as to when. Minutes ago? Perhaps. Years, maybe. A lifetime earlier or a split-second, if the concept called ‘time’ existed, something Lee had long since come to doubt. Once those words were out, everything had suddenly gone dark, as if for a fade-out between a fifteen minute chapter on a television show and the commercials to follow. Funny, isn’t it? Lee thought, if thinking correctly describes what the swiftly dying man’s mind was capable of during those final moments. For now, thoughts and emotions could no longer be separated. The combination of the two tore through Lee’s tight frame and his human consciousness, or what remained of it. With end-game right around the corner, Lee Oswald attempted to understand his own self—however racked with pain—as well as the nightmare-world that had come to enclose him during his less-than-a-quarter-century on earth. Meanwhile, everything around him came in and out of focus whenever Lee managed to flicker his eyes. Bizarre shapes and odd shadows registered, if little else. At this moment, life—or what Lee could in his agony still perceive of everyday existence—resembled an old black-and-white movie. That made sense, for nothing had ever meant as much to Lee as The Picture Show, as his mother Marguerite long ago had so quaintly referred to it: the one and only place where he had ever been able to set aside the ugliness of his daily reality and discover a few treasured hours of respite in a finer world. Funny, all the same. For Lee Harvey Oswald had always, ever since he could remember, desired to be famous. Adored by the masses, those very people he had over the years come to hold in contempt. Bizarre how he needed, hungered for their attention, even admiration, perhaps adulation. And, in the early stages of the second-half of the 20th century, that he inhabited for at least a little longer, fame had come to mean television. Appear on TV and your life is fulfilled. The whole world is watching, even as you always believed they ought to be doing. I was about to tell all … everything! … but as I recall only the first words were out … the prologue, so to speak … “I’m a patsy!” … then, before I could continue … Wham! … the noise, like thunder clapping … or a pistol firing . . yes, that must have been it … I do know the sound of a pistol … rifles, too … no, no, I can’t let myself laugh. Hurts too much … so let’s try to remain calm, concentrate … alright, I had spit those words out … and repeated the last two, just so all would be sure to hear me, loud and clear … and then I … inflated … like a little kid’s balloon some mean man pops with his cigarette while passing by on the carnival midway … no good reason to do so … just to be mean … oh, wait a minute, there was a reason … they had to silence me … of course! … ‘they’ … them! … all of them working together.